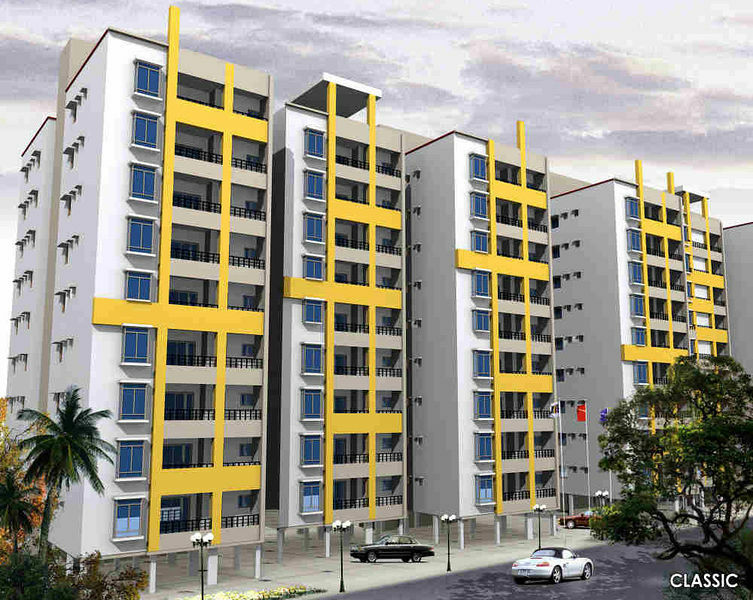 Sahabhavana is one of the most popular residential project in Bandlaguda, Hyderabad. This project is crafted by the best team of architects and engineers of Rajiv Swagruha group. If you are looking for a home with an array of amenities and affordable price, you must look into this project as it is one of the best options to choose from in the locale. It offers meticulous 1BHK apartments for sale in Bandlaguda, Hyderabad, it also offers 2BHK apartments for sale in Hyderabad with all modern day basic amenities to provide you comfort, for families of bigger size, this project offers 2.5BHK and 3BHK apartments with ample natural light and well - ventilation. This project invites you to experience the refreshing and rejuvenating life that you have always dreamt of, here you can make your dream come true. This project is in close proximity to famed schools, hospitals, shopping malls and other civic utilities and has easy access to the public transport. Bandlaguda is one of the prime locations in Hyderabad and is perfect for a having a permanent house. The state of art amenities that come along with this project are such as shopping area, children park, and avenue trees. 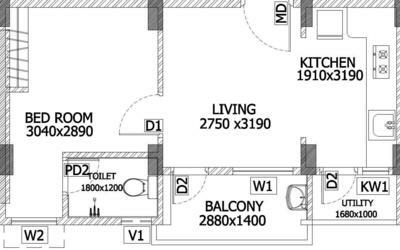 Double Bed Room flat of 685.50 SFT - 900 units of G+5 pattern. Foundation, Footings, Pedestals, Columns on plinth beam, roof beam and slab. Main Door with medium teak wood frame and other doors with CRCA frame & flush door shutters with Teak Veneer finish.Bathroom doors with PVC frame and shutter. NCL or equivalent Eco series windows with glass & grills. Altek superfine (Luppum with Plastic Emulsion Paint). Altek harmoney acrylic Emulsion Paint (External Grade). Polished granite platform steel sink, Dadoing with strip tiles up to door level and provision for exhaust fan. Vibrated Reinforced Cement Concrete with Framed Structure. Internal walls-Altek Lappam finish, External walls-Acrylic emulsion, Main door-Melamine polish / glossy / matt finish, Other doors-Synthetic enamel paint, Iron works-Synthetic enamel paint, Iron works-Synthetic enamel paints. Kajaria / Johnson or equivalent glazed tiles upto door level and non-skid tiles for flooring. Provision for exhaust fan, IWC & EWC with flush tanks. Quality PVC sanitary pipes with Jaquar-Make fittings. Concealed wiring with adequate lights, fan points 6A/16A power points and mini modular switches. Concealed T.V., telephone & internet provision in bedrooms, living room. DB\'s with MCB isolators. Lifts are provided from branded companies.